Sipi Falls is a series of three waterfalls in Eastern Uganda in the district of Kapchorwa, northeast of Sironko and Mbale. 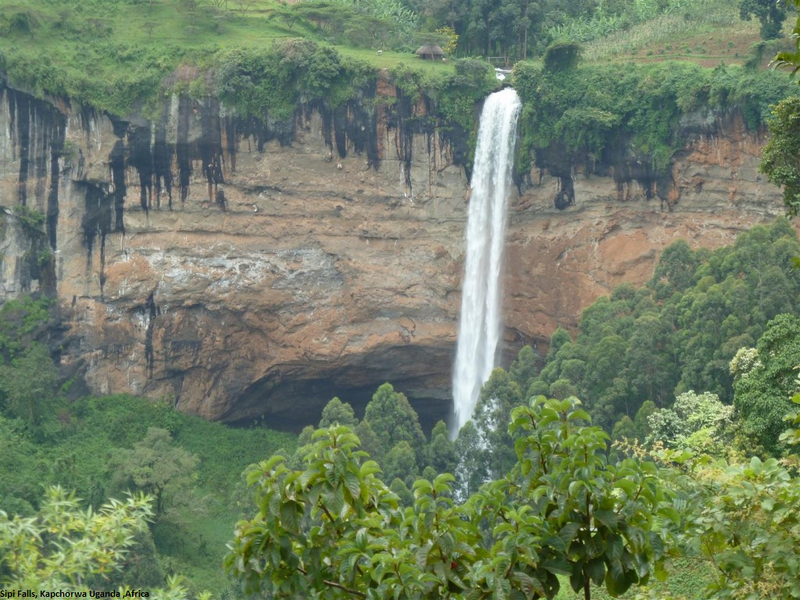 The waterfalls lie on the edge of Mount Elgon National Park near the Kenyan border. The Sipi Falls area is the starting point for many hikes up Mt. Elgon. The most popular route starts in Budadiri and follows the Sasa trail to the summit and then descends down the Sipi trail back into the Sipi Falls. Hikes around the falls offer stunning views of the Karamoja plains, Lake Kyoga, and the slopes of Mt. Elgon. Individuals can organise trips through the Uganda Wildlife Authority or local private operators.